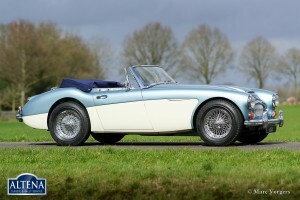 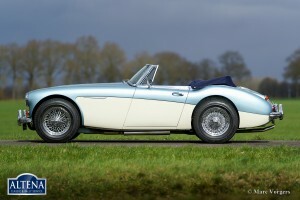 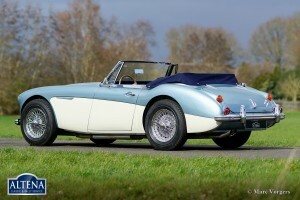 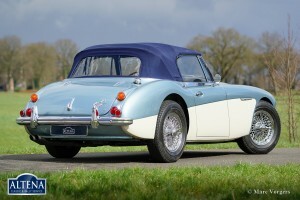 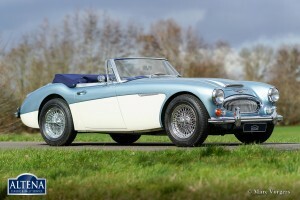 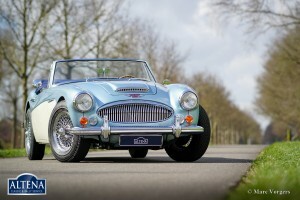 Austin Healey 3000 MkIII phase 2, year 1967. Colour Ice Blue metallic over crème white. 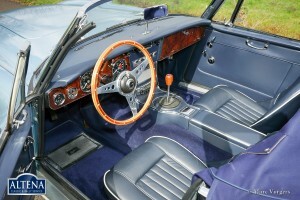 Bleu leather interior and blue carpet. 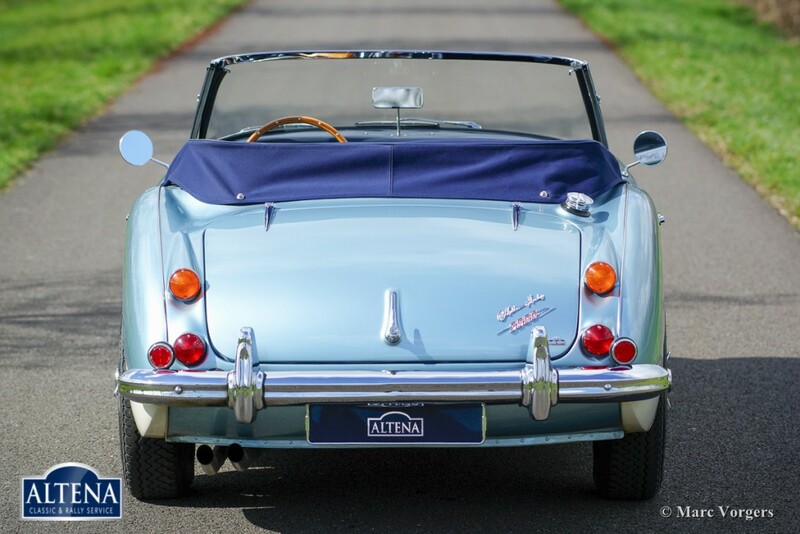 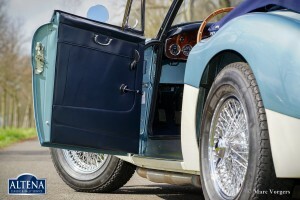 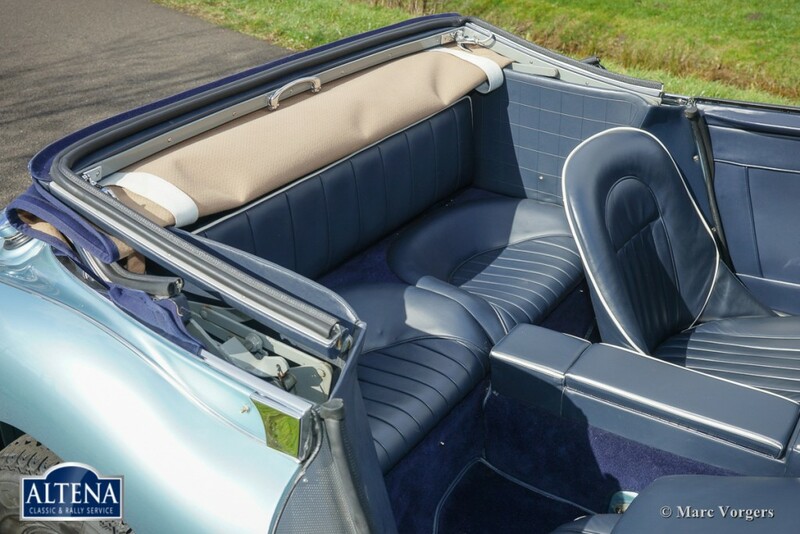 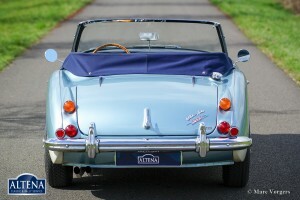 Blue mohair soft-top, hood cover and tonneau cover. 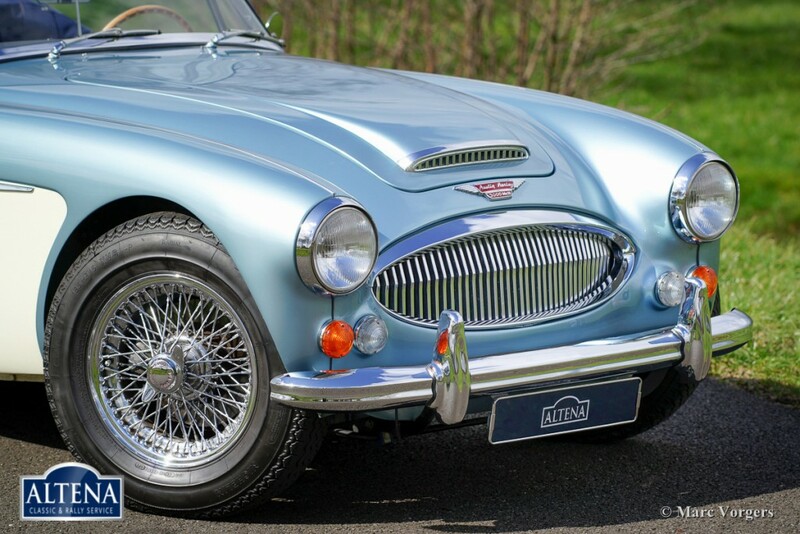 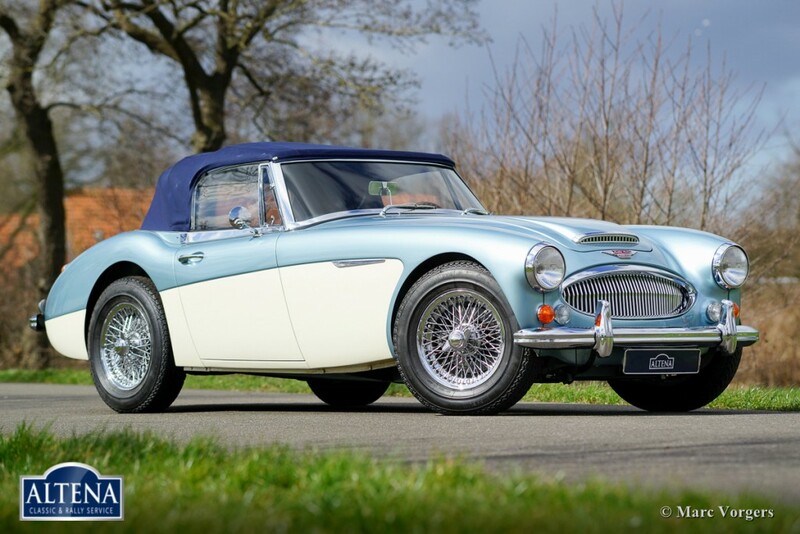 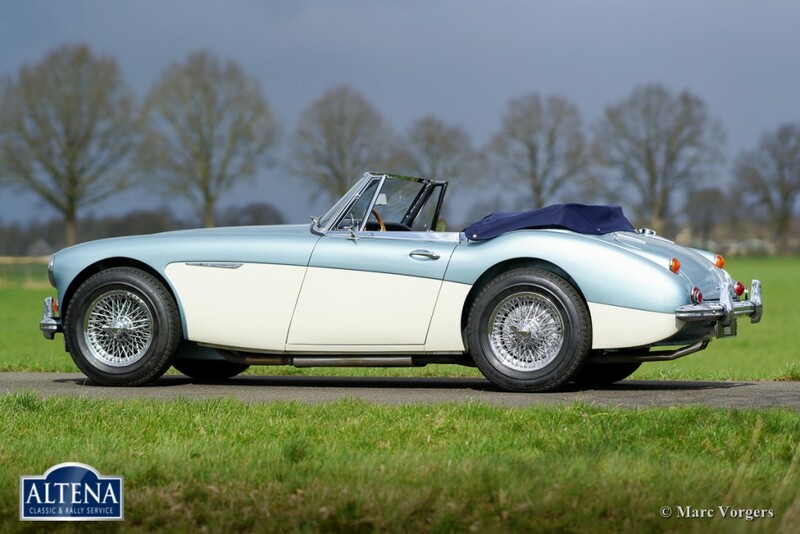 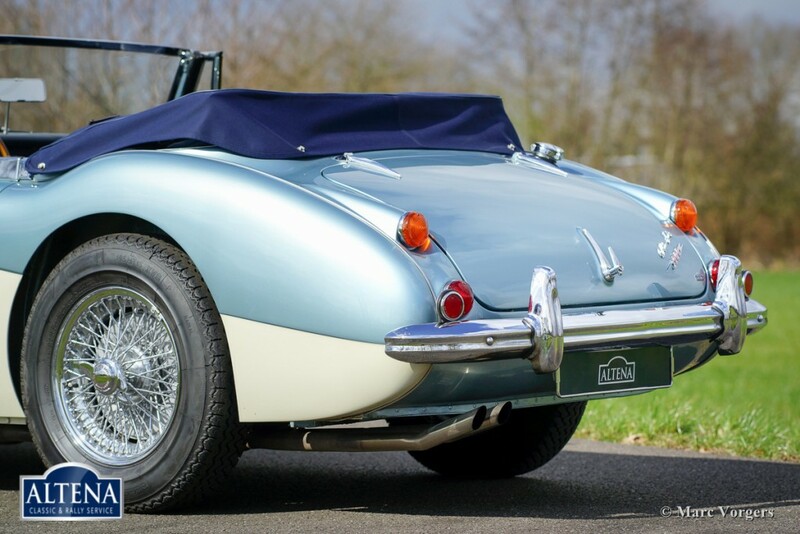 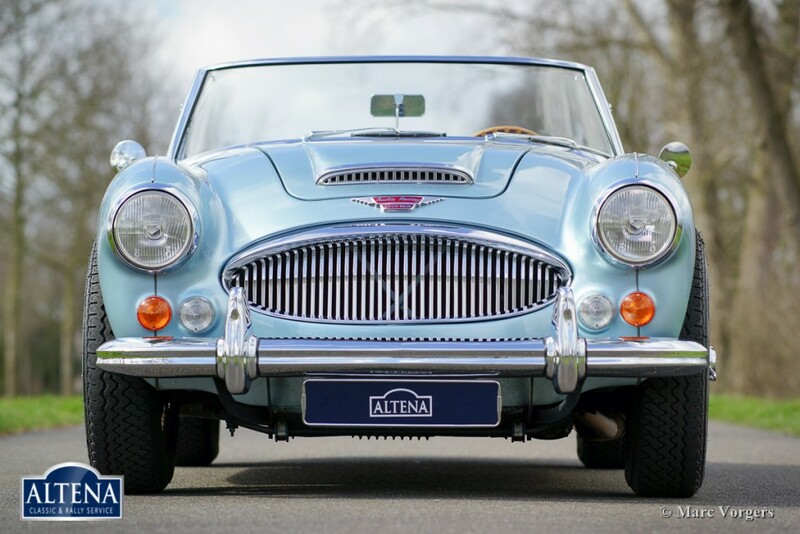 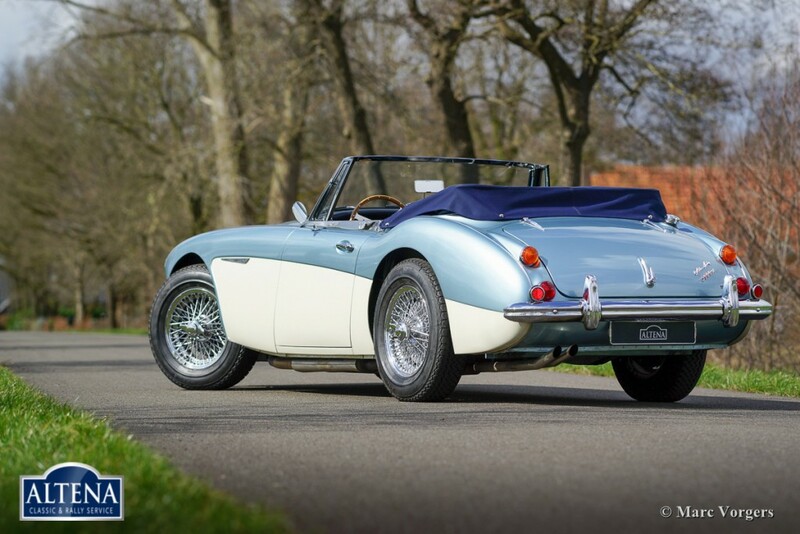 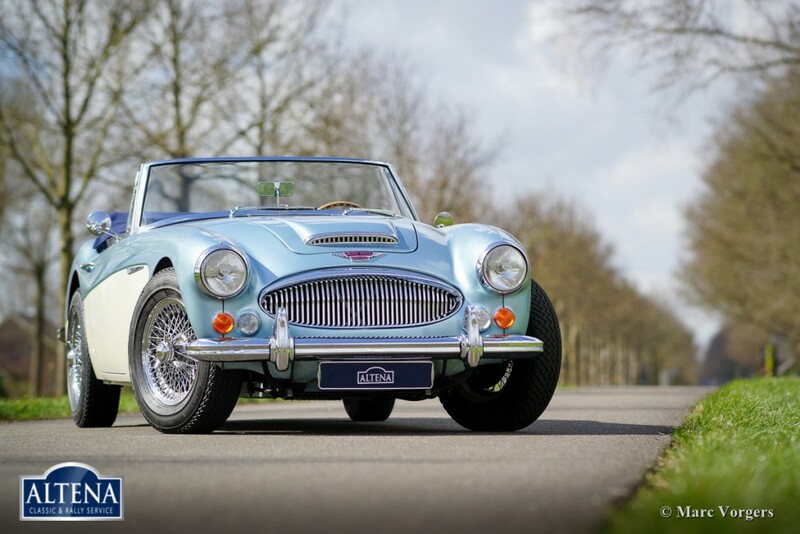 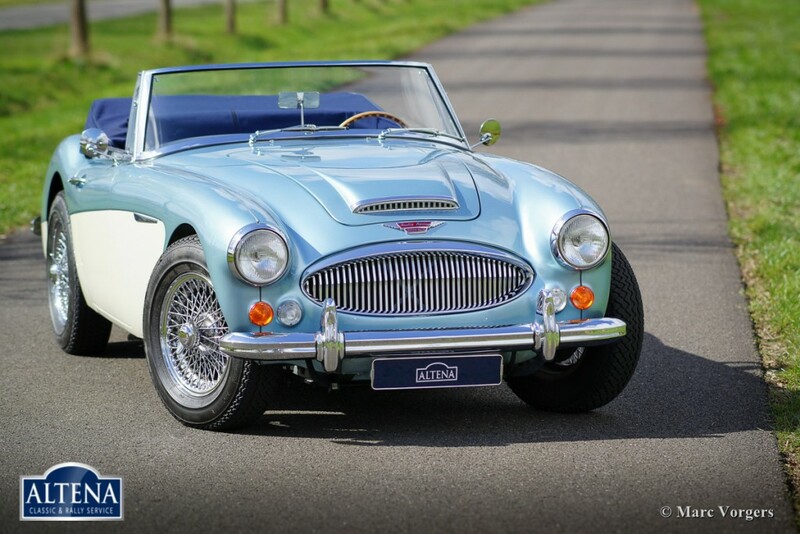 This fantastic Austin Healey from the last series was extensively and perfectly restored by Altena Classic Service in the year 2005. 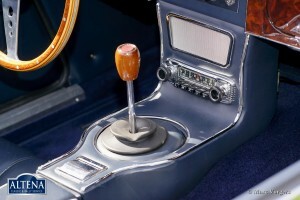 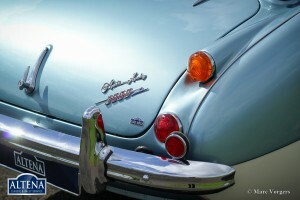 Everything was restored and/ or overhauled; the automobile is in superb top condition; concourse! 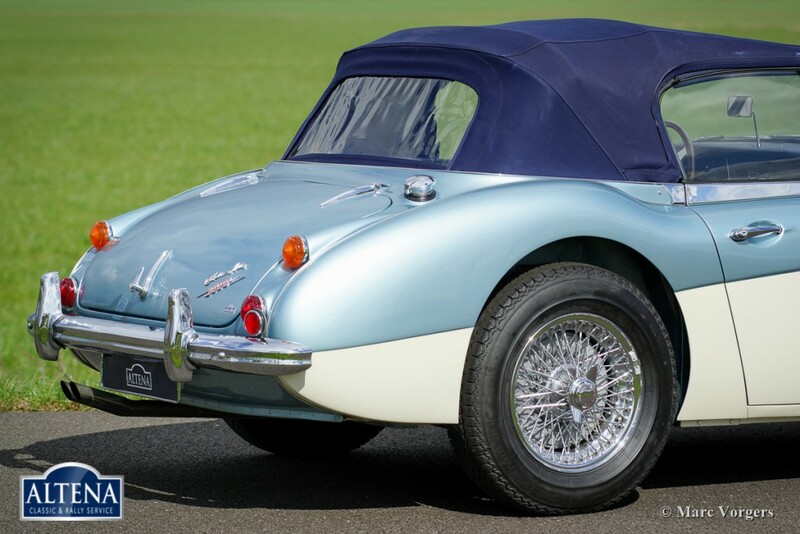 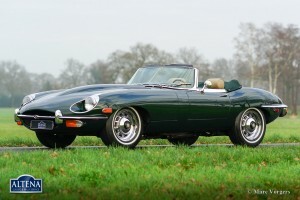 The bodywork shows perfect panel fit, crisp lines and the paintwork is immaculate. An extensive photo reportage of the restoration is present. 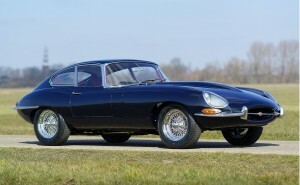 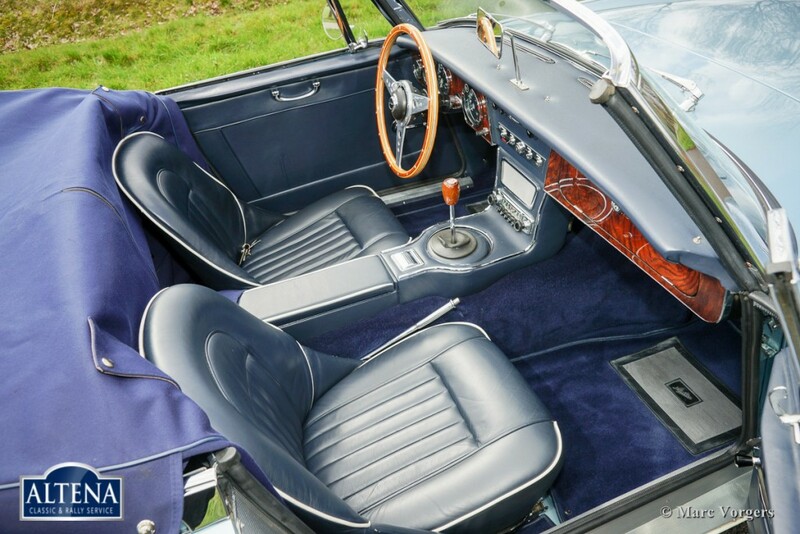 Since completion of the restoration the car has known only one owner who drove 3500 delightful kilometres with this beauty. 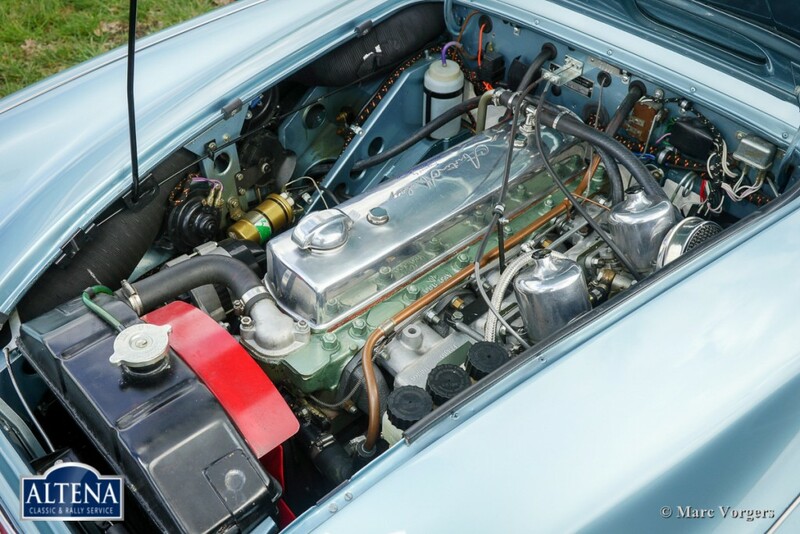 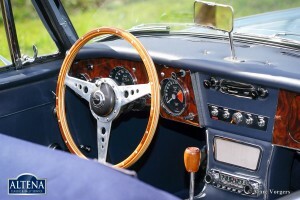 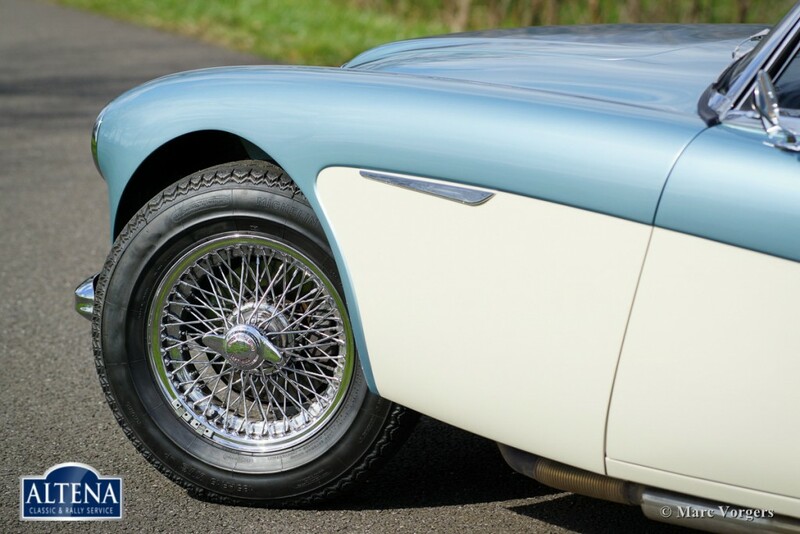 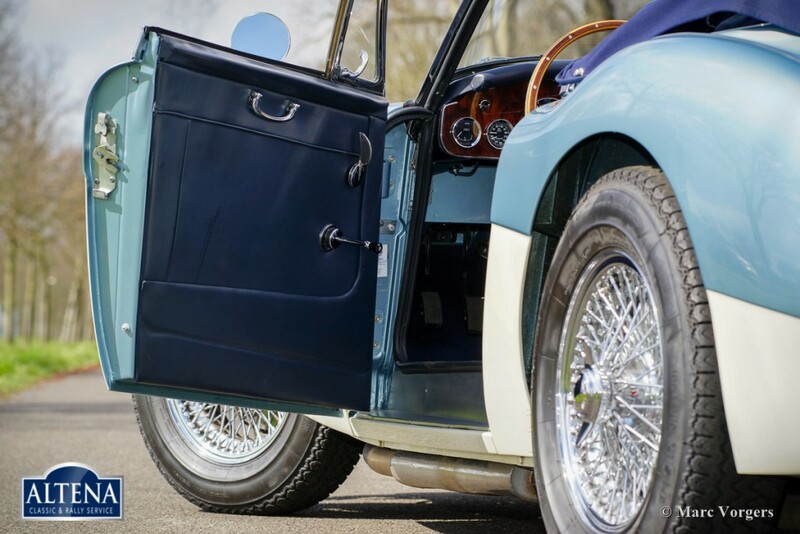 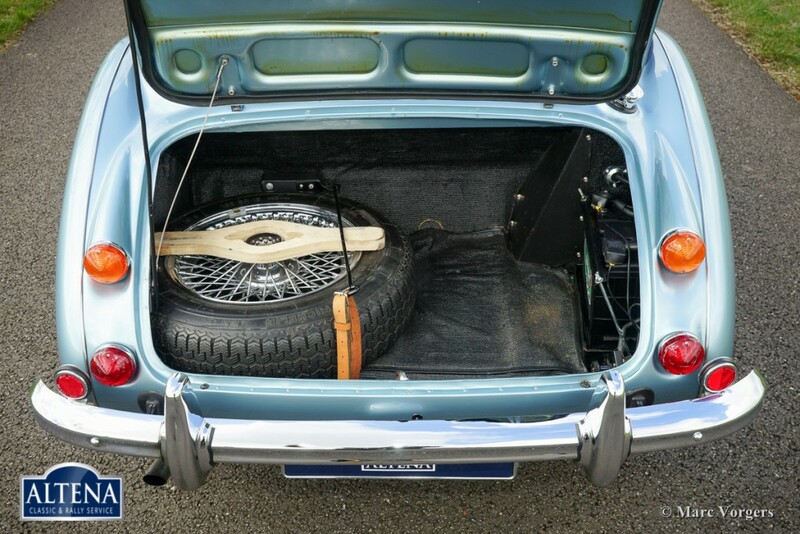 This ‘Big Healey’ features the following options: overdrive, a dual circuit brake system, chrome wire wheels, 185/15 Michelin XVS tyres, chrome ‘knock off’ wheel nuts, a beautiful classic Blaupunkt (Blue-spot) radio and a wood rimmed MotoLita steering wheel. 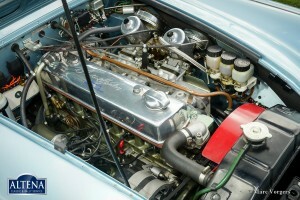 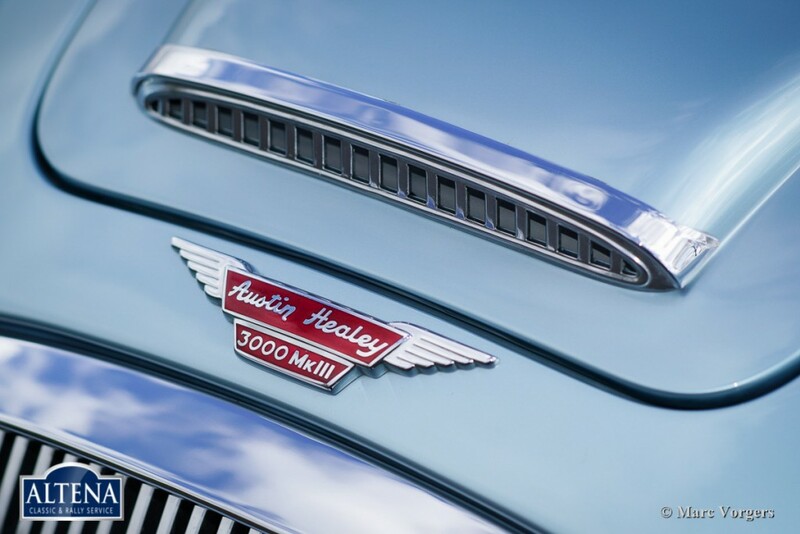 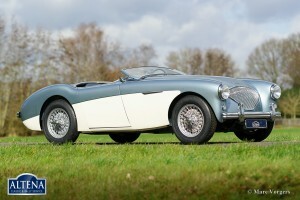 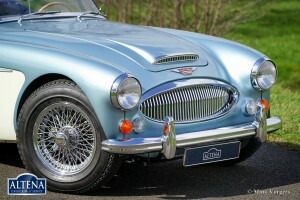 This very fine Austin Healey drives perfect; a TOP specimen!